L J Plumbing and Heating was founded in 2006 by myself Liam J Howley. I started my career in this sector with an Apprenticeship with a local self employed plumber, after this I moved to a larger company in Leeds and completed a more advanced Heating and Ventilation course at Leeds College of Building. In Early 2007 I made the move to become self employed and established L J Plumbing and Heating. I believe that my range of knowledge allows me to cover all Plumbing, Heating and Gas work that a customer may require in a modern home. I believe that my customers value the fact they can call us for all tasks – from some drippy taps to a complete heating system replacement. I’m a Gas safe registered engineer for both natural gas and LPG. We complete a large amount of boiler replacements, from combination boiler swaps to cylinder and heating system upgrades. We are Worcester Bosch Gold accredited engineers, because of this we can offer up to 10 years gaurentee on new Worcester boilers. We offer free consultations for all works, I’m happy to offer home visits to discuss all the needs of our customers. We have a strong opinion when it comes to customer care, I am of the opinion that all works should be completed to the highest standard. If something is worth doing – it’s worth doing right! 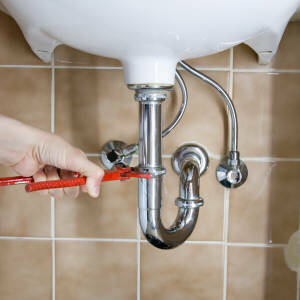 Any cut corners in plumbing and heating enevitably cause bigger problems further down the road. I employ one other engineer, a lovely chap called Jamie Sawyer. He fits in superbly with our business ideas, he has a great outlook to customer welfare and is a great asset to L J Plumbing and Heating. Jamie is based over in York and I’m over in Eggborough, between us we can offer prompt response to emergencys and a friendly local service for quite a broad area. L.J. Plumbing and Heating are accredited Worcester Bosch installer, offering extended warranties on all Worcester Bosch boiler systems. L.J. Plumbing and Heating are fully City and Guilds Qualified.